OWERRI—The national chairman of Accord Party, Mohammad Nalado, yesterday asked the people of Imo State to vote the governorship candidate of his party, Ikedi Ohakim as the next governor of the state. Nalado made this appeal during the flag-off of governorship mega rally at Kanu Nwankwo Stadium in Owerri, adding that Ohakim would end “sufferings” in Imo State. Nalado boasted that with Ohakim as Imo governor, Imo people would be happy. He said: “Good people of Imo state, I am very happy to be with you and the national officers of Accord Party. We are here to celebrate the victory of our gubernatorial candidate. 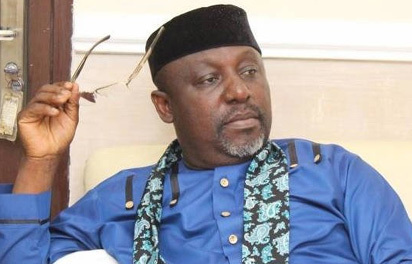 We are just waiting for the time to swear him into the office as the next governor of Imo state. “Our candidate is a popular person to you. You understand him better, you know what he did while in office and if you compare it today, you will like him to be voted back to office. “We have made mistakes in the past and we will not do it again. 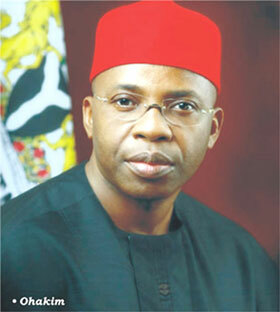 We want Ohakim to come back and fix Imo State back. I call on Imo citizens to come out and vote for him so that he can stop further destruction of the state. Ohakim, an immediate past governor of the state, said his coming back to complete his second tenure as governor was to fix Imo State, adding that there was no sign of development in the state. Ohakim said: “Imo as a vehicle has knocked engine. That is why I am wearing a mechanic cloth and everybody must wear a mechanic cloth. Meanwhile, supporters of Governor Rochas Okorocha and his son in-law, Uche Nwosu, have further reduced, with the elected local government operators switching over to the Hope Uzodinma camp. Members of the Association of Local Governments of Nigeria, ALGON, also endorsed the governorship candidate of the All Progressives Congress, APC, Senator Hope Uzodinma, for the 2019 governorship election. Speaking when they paid a solidarity visit to Uzodinma, the chairperson of ALGON, Mrs. Rubby Emele, described the Okorocha administration as “unfair to the people of the state” and vowed that the local council executives and workers, who were allegedly sacked illegally in 2011, by Governor Okorocha, will punish him and his son in-law with their permanent voters cards. Her words: “The former chairmen and councillors were deprived of their salaries up till date, causing undue hardship to their families. We are happy that God used Senator Uzodinma to liberate the people. We will use our structures in 305 wards in Imo State to ensure victory for the APC candidate”, Emele said.